Wendy Arons joined the faculty of the School of Drama at Carnegie Mellon University in 2007. 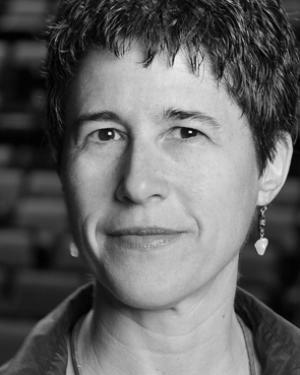 She teaches courses in dramatic literature and dramaturgy, theatre history, and the graduate Colloquium, as well as advising undergraduate dramaturgy students in production work. She currently serves as Option Coordinator for Dramaturgy. Her research interests include performance and ecology, 18th- and 19th-century theatre history, feminist theatre, and performance and ethnography. She is author of Performance and Femininity in Eighteenth-Century German Woman’s Writing: The Impossible Act (Palgrave Macmillan 2006), and co-editor, with Theresa J. May, of Readings in Performance and Ecology (Palgrave Macmillan 2012). She has published articles in Theatre Survey, Theatre Topics, The German Quarterly, Communications from the International Brecht Society, 1650-1850, Text and Presentation, and Theatre Journal, as well as chapters in a number of anthologies, including “Ecodramaturgy in/and Contemporary Women’s Plays” (co-authored with Theresa J. May, and published in Contemporary Women’s Playwriting, ed. Penny Farfan & Leslie Ferris) and “Beyond the Nature/Culture Divide: Challenges from Ecocriticism and Evolutionary Biology for Theatre Historiograpy” in Theatre Historiography: Critical Questions (ed. Henry Bial & Scott Magelssen). She has worked as a professional dramaturg with a number of leading directors, including Anne Bogart and Robert Falls, and has translated a number of plays from German into English, including The Good Person of Sezuan in collaboration with Tony Kushner. In 2014-15 she is working as script advisor on a new play, JH: Mechanics of a Legend, written and directed by Anya Martin. In 2012 Prof. Arons received a three-year NEH “Scholarly Editions and Translations” grant to support the first complete and annotated translation into English of G.E. Lessing’s Hamburg Dramaturgy, a set of 104 essays on the theater written during the brief life of the Hamburg National Theater (1767-69). The ongoing work on the new English version can be found here. She is also currently working with Theresa J. May and Nelson Gray on the first anthology of ecodrama, and co-facilitating, with Prof. Kristina Straub of CMU’s English department, three projects under the rubric of “Performance” sponsored by CMU’s Center for the Arts in Society. Prof. Arons serves on the Editorial Boards of Theatre Annual and Theatre Topics and on the Advisory Board for Hiawatha Project. And in her spare time, she authors a blog on local theatre and culture, The Pittsburgh Tatler.